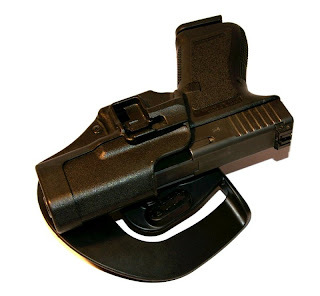 There are a number of considerations when selecting a holster and of course my perspective has been guided by the drills of the Mako Defense training course. 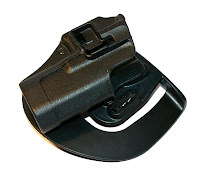 The Blackhawk holster is good, but a Level II holster is un-needed, so on the below holster I have converted it to a friction only holster by removing the pivot pin and pulling the retention clip. 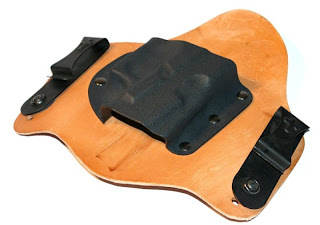 The Blackhawk holster is a great option for a exposed carry or under a jacket. 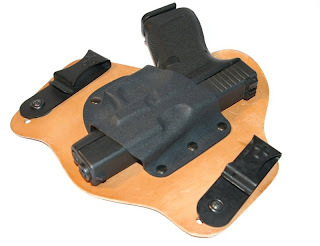 My personal favorite is the Cross Breed Holster -CBH Super Tuck Deluxe. This has been a stunningly comfortable as my daily carry rig. One day I accidentally carried it un-intentionally because I forgot I was wearing it. CBH's Super Tuck Deluxe is available for most guns and a mini-version is every available for the Ruger LCR that just disappears. One of the things I like the best about the Super Tuck Deluxe and it's prime feature is that you can tuck your shirt over the holster. In short it disappears even under a tucked in t-shirt.